Fragrance affects us all. For some, it can enhance a moment, invoke a memory, or even improve a mood. As consumers, we seek it out in all kinds of products we use in our everyday lives. And for many of us, there’s a positive sensory experience associated with fragrance. But unfortunately, this may not be without consequence. In addition to the potential health consequences of certain fragrance ingredients linked to cancer, interference with hormones, and reproductive harm, a significant portion of the population suffers from fragrance-related allergies. 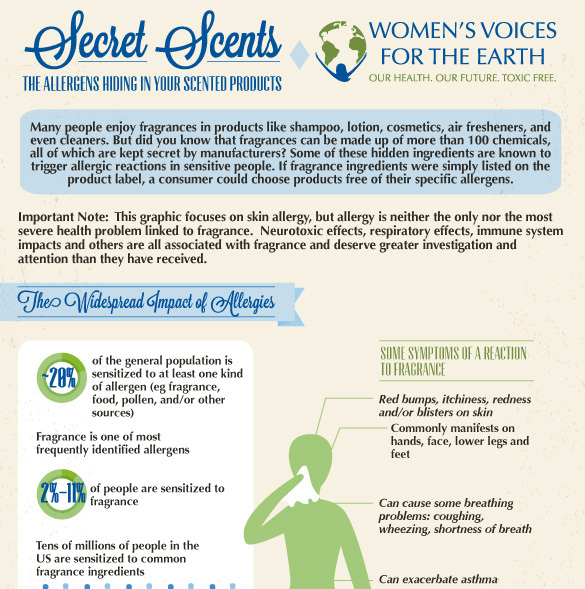 Almost 20% of the general population is sensitized to at least one allergen, and studies find that fragrance is one of the most frequently identified substances causing allergic reactions. 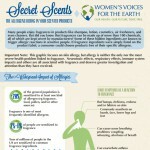 Fragrance allergy affects 2 to 11 percent of the general population. This translates to tens of millions of people globally affected by fragrance. 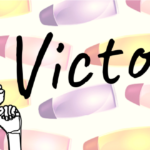 Women are disproportionately impacted by fragrance allergies, and the rates in children have been rising dramatically in the last few decades. Yet, affected populations are kept in the dark by the fragrance industry, which keeps fragrance ingredients a secret because they claim that it will hurt their competitive edge if the information is released. This policy of secrecy has a two-fold effect on public health: it makes fragrance allergy both harder to diagnose and harder to treat. For example, a person may be able to identify a fragranced product that causes their allergy, but it becomes overwhelmingly complex without ingredient information for the health care provider to identify which ingredient in the product might actually be causing the allergy. 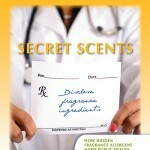 Even when a health care provider has identified the ingredient to which a patient is allergic, it can be almost impossible for the patient to avoid the allergen in a household product because fragrance ingredients, including known allergens, are usually not disclosed on product labels or websites. Allergy patients are left with the unfortunate and extraordinarily limiting option of attempting to avoid all fragranced products. 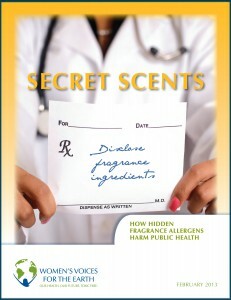 Thus, the lack of information on ingredients in fragrance is a major public health problem. Allergic patients routinely suffer unnecessarily and incur significant health costs associated with those allergies. Disclosing fragrance ingredients, including those ingredients which have been identified by scientific bodies as allergens, is an imperative step that could have a significant global health benefit. The fragrance industry is opposed to this approach and has maintained the need to keep fragrance ingredients a secret from the public. While the sector claims that secrecy is vital to their business model, it is an unconvincing argument. Current technology allows for highly sophisticated reverse engineering of fragrances, a common practice of fragrance formulators and their competitors. Thus, if a company’s competitor can correctly identify the majority of fragrance ingredients, it stands to reason that the next step would be to disclose them to consumers who really need the information to protect their health. The solution is simple: Fragrance ingredients, including allergens, should be disclosed to consumers to allow them to protect their health and avoid the substances they wish to avoid. This report focuses solely on allergy associated with fragrance. 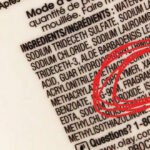 However, allergy is neither the only nor the most severe health problem caused by fragrance. While beyond the scope of this report, it should be noted that neurotoxic effects, respiratory effects, immune system impacts and others are all associated with fragrance and deserve greater investigation and attention than they have received. Almost a quarter of cases of fragrance-associated asthma in the workplace occurred in workers who had no previous history of asthma, but developed it as a result of exposure to scented products on the job. Learn more. How well is the fragrance industry managing the toxicity of fragrance ingredients? Find out. Click here.